recently and took the chance to meet potential Hereford Prime suppliers. Hereford Prime NZ has recently formed a partnership with ANZCO Foods Ltd to process and market beef in the South Island. Hereford Prime Chairman Laurie Paterson said this is a very exciting development for the board and staff and it’s the first time the brand has been able to source cattle and offer beef South Island-wide. Investigations are also underway with ANZCO for an export opportunity. In the first week of offering Hereford Prime, four restaurants added Hereford Prime beef to their menus and the retail store on Blenheim Road, Christchurch did a roaring trade and received exceptional feedback on the quality, taste and tenderness. The Christchurch based restaurants with Hereford Prime on their menu can be found by visiting www.herefordprime.co.nz/restaurants. A list of all retail outlets can also be found on the Hereford Prime website. Laurie says the ANZCO Hereford Prime partnership has the potential to apply upward pressure to demand for registered Hereford bulls and he says as a company, they are a good fit sharing the same passion for quality beef and customer service. 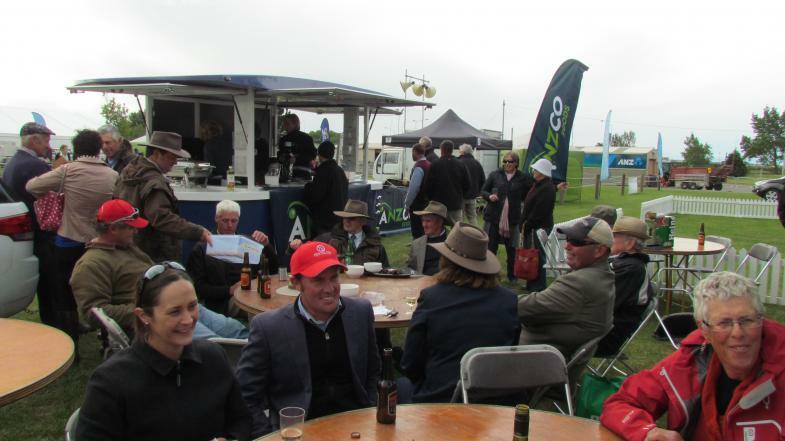 ANZCO Foods General Manager Sales and Marketing Stu Hall says their company is extremely pleased with the development of the partnership with Hereford Prime. He said there has been rapid progress to date supported by the shared desire to deliver consistently high quality product to customers and ultimately the consumer. “We are also continuing to develop an export programme opportunity with an existing ANZCO Foods premium retail customer, again based around quality, consistency and breed differentiation,” said Stu. They are confident the details supporting that programme will be confirmed by the end of the month. The initial criteria for the ANZCO programme is pure-bred Hereford or first cross cattle, which provides South Island breeders with a strong marketing opportunity into those predominantly Angus cow herds. Ultimately all cattle for the programme will be supplied from members of a Hereford Prime producer group yet to be set up. The partnership with ANZCO compliments Bowmont Wholesale Meats in Invercargill who continue to proudly service the lower part of the South Island with their retail shop and food service distribution and they too need your support to continue the growth and success of Hereford Prime. Magills Artisan Butchery continue their dominance in the greater Waikato region and the Wairarapa based Cabernet Foods are experiencing a lift in supply after a difficult late winter/early spring and they have strong demand for Hereford Prime from their customers.